Nissan is coming to SEMA with a variety pack of modified cars and trucks, the coolest one being a very different kind of 370Z. We won't kick the Kicks/speaker set too hard, but here's the lineup for Las Vegas this year. This is the updated 370Z we've been waiting for, kind of. Nissan attacked the parts we all really care about; most importantly, there's a new engine. The everlasting 3.7-liter VQ motor is replaced with the awesome 3.0-liter twin-turbo V6 found in the Infiniti Q50 400 Red Sport. Yes, that is the 400-horsepower version of that engine. 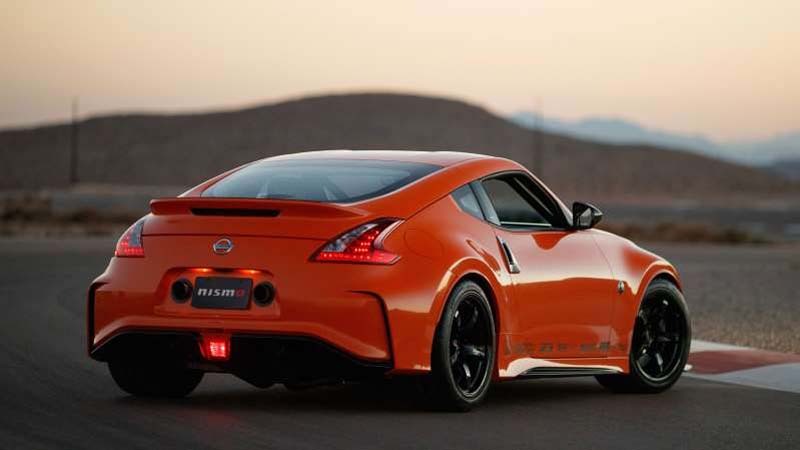 Nissan went one step further and mated this engine with the manual transmission from the 370Z Nismo — up until now, this motor has only been sold with an automatic transmission. MA Motorsports was contracted to develop the whole system to make sure the powertrain works like it should. 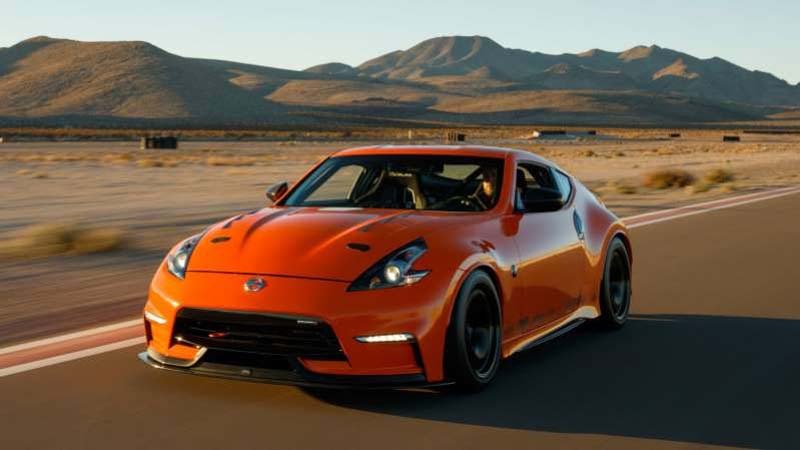 © Nissan Nissan is bringing a heavily updated 370Z to this year's SEMA show. We also like what Nissan has done with the rest of this Z. Check out the exhaust outlets in the rear license plate cutout — now that's unique. Brand new Nismo suspension components were used all around, in addition to KW Variant coilovers with Eibach springs for better handling. Nismo brake pads with Z1Motorsports rotors and stainless steel lines make up the brake upgrades. Finally, it gets Rays wheels with Hankook RS4 high performance tires to sit on. 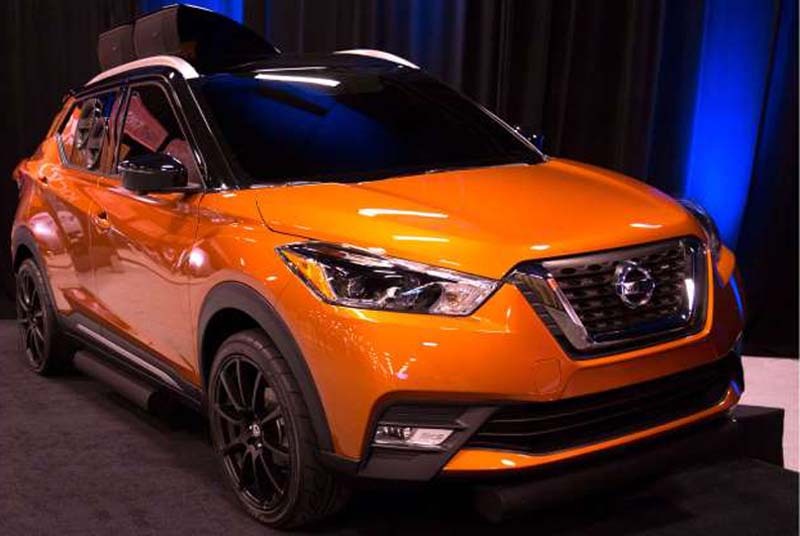 What's of particular interest with this car is that Nissan might offer the full package as what it calls a "builder's kit." If Nissan were to redo the 370Z anytime soon it would probably get a version of this engine, so think of this as a possible preview for what is to come. We're definitely liking what we're seeing. 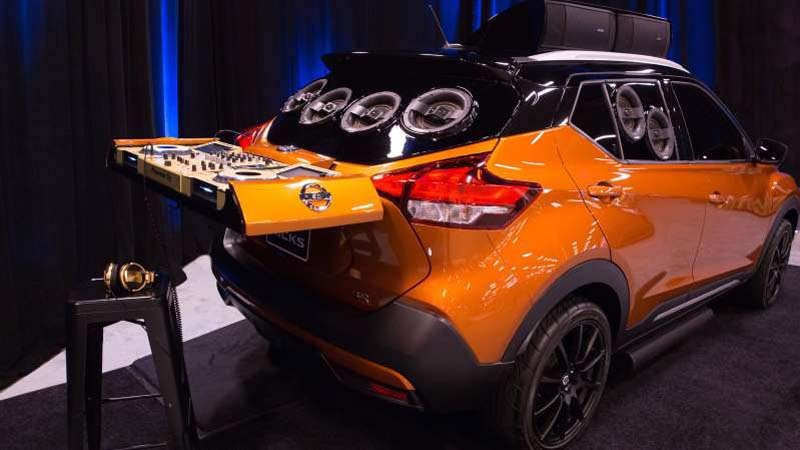 This Nissan Kicks is aptly named, because it seems to be more speaker than car frankly. Built at Vehicle Effects, it's slightly ridiculous looking with all the speakers everywhere, but we're sure it sounds the business. There's even a custom-built table for disc-jockeying equipment. Here's a truck with real purpose. 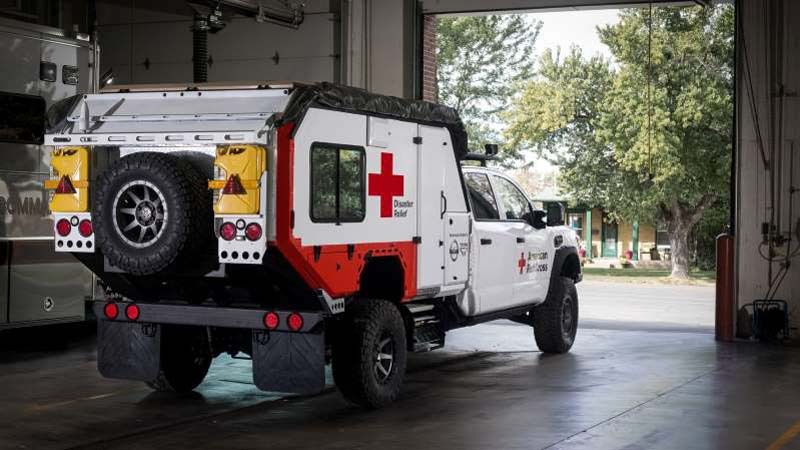 Nissan transformed this Titan to serve as a mobile response unit for the American Red Cross in South Florida. It has a desk, solar power generator, bed and first aid kit for first responders to provide on-site care. There's also a refrigerator to store blood for transportation to hospitals in need. 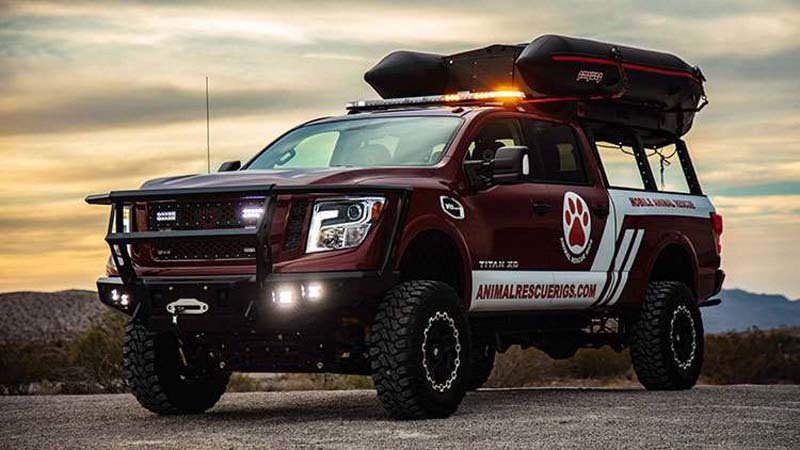 The Paws One Titan is a seriously rugged looking truck designed specifically to help assist stranded animals after natural disasters. It has a number of modifications to perform better off road, and even has what appears to be a small boat/flotation device in the bed.